This lap quilt features fabrics from Art Gallery Fabrics absolutely beautifulLilly Belle collection by designer Bari J. These fabrics are from the "Cool Sunrise" Palette. This quilt pattern is great for beginners on up. The cutting and blocks go together rather quickly. I decided to quilt mine using a free motion meandering design in only the negative space. I think it really makes the fabric pop. For my neutral, I used Art Gallery Fabrics Pure Elements Linen White. It's a really lovely off white. 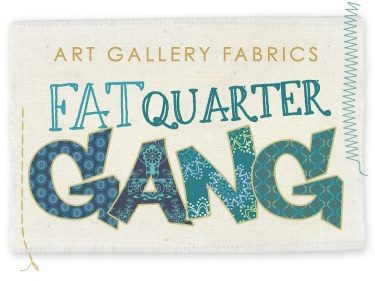 You can find the link to my new pattern on the Art Gallery blog as well as their Fat Quarter Gang pattern page (if it's not linked there yet, it will be soon). I will pick a winner Friday evening, September 21st. 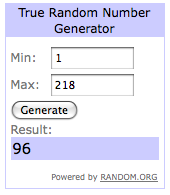 The winner is #96, Sharon T! I'll be emailing you for your address Sharon. Congratulations and thanks for commenting everyone!